tonight i spent a quiet evening with my beautiful laura. we shared curly fries and played strange food related board games. 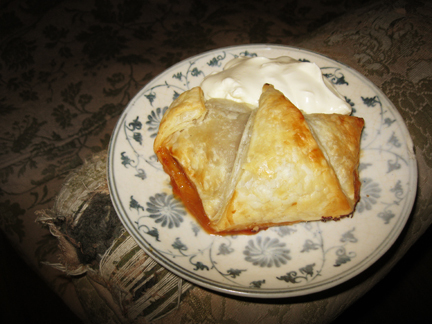 and while i was gone, my love made homemade apple strudel. oh my i feel very lucky to have two such wonderful people around me.